What a Visual Treat. JL Design and Korb for CCTV. It really is a great time to be a visual designer. Thanks to advances in computer technology an software, we are experiencing a true renaissance in visual design. The four indents below for CCTV’s Documentary Channel are a great example of what I am talking about. This kind of visualization would have been almost impossible to get a decade ago. 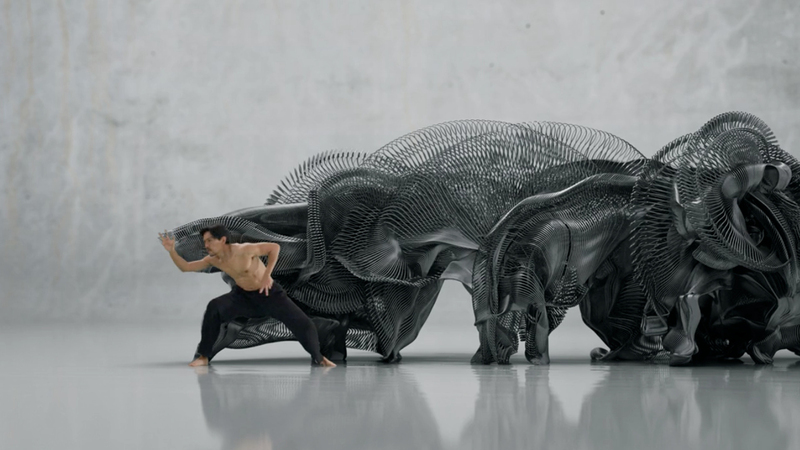 Lithuanian based Korb, working with Taiwan based JL Design took three months to create these spots, each of which is only 10 to 1 seconds long. Mo-cap was done on site in Taipei by Korb, with the final VFX work was done in Vilnius. “Motion sculptures for CCTV Documentary Channel is a digital metaphor of phenomenal blinks and moments that life consists of. In four Idents we follow a visual performance of organic and vital substance, animated using data of actors movements. Posted in Animation, Design and Art, Technology, Video and Motion Graphics and tagged 3D, Animation, CCTV, CGI, Film, JL Design, Korb, Motion Capture, VFX, Video, Visualization on August 13, 2013 by Author. ← Mesmerizing Hypnotic Japanese Pop Eye Candy.